Tesco Bike Active 2006 got underway in fine style at Kent’s Bedgebury Forest yesterday, with around 350 riders of all ages taking on the challenge. Riders began rolling in and signing up from around 9 o’clock until well after 3, cashing in on the remarkable weather, fine trails and arboreal delights of Kent’s premier woodland venue. Riders had a specially designed 4.5km loop taking in gentle climbs and swooping descents on gravel fire roads. Any of the younger kids in the audience inspired by Rich's riding had the opportunity to pop next door to the Go-Ride Skills area, where they could begin to brush up on their on-bike balance, with the help of British Cycling coaches from the South East region. Thanks guys. 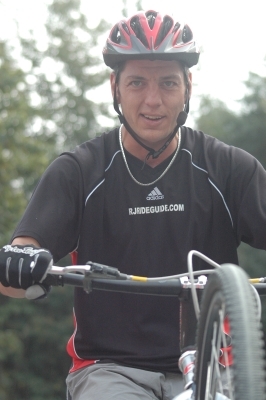 We’ve got tons of photos in our rider galleries (see below), with riders of all shapes, sizes, ages and abilities, resplendent in their red Everyday Cycling T shirts, having a great time on the Bedgebury Trails. 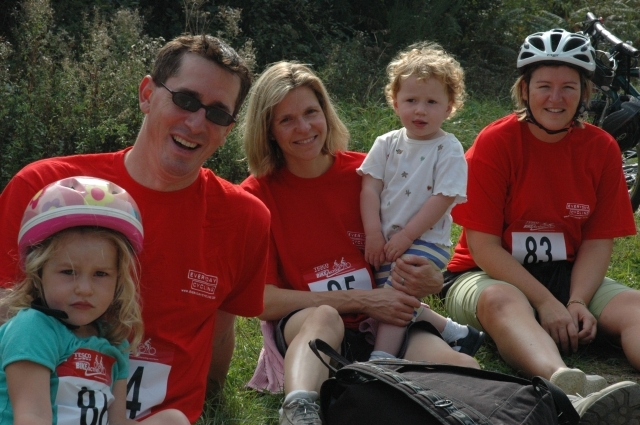 To my mind, the abiding image of the day was seeing families, bedecked in their red t-shirts, scattered along the Tesco Bike Active trail and crossing the line at the end to collect their medals. Thanks must go to Dave Hiscock and his Forestry Commission team at Bedgebury, for making our stay so memorable. Thanks also to our team of volunteer marshals from clubs throughout the South East, who made sure that everyone was kept on course. After a weekend’s break, Tesco Bike Active returns on Sun 8th Oct at Greater Manchester’s Heaton Park, largest municipal park in Europe. 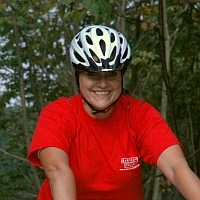 Big and beautiful, and sandwiched between Manchester, Bolton and Bury, the event is sure to draw-in bikers by the bucketload to enjoy another slice of Tesco Bike Active fun. If you’re in the area, get yourself entered today! From there, the programme visits Leeds (8th Oct), Sherwood (15th Oct) and concludes at Bath's Victoria Park on 22nd Oct.